Light, bright, and freshly painted, this beautiful home in Park West is move in ready. Walk through the double-door entrance and into the open concept Great room with hard wood flooring and vaulted ceilings. The kitchen comes complete with a suite of brand-new stainless steel appliances, all new granite counter tops, breakfast area, and pantry. 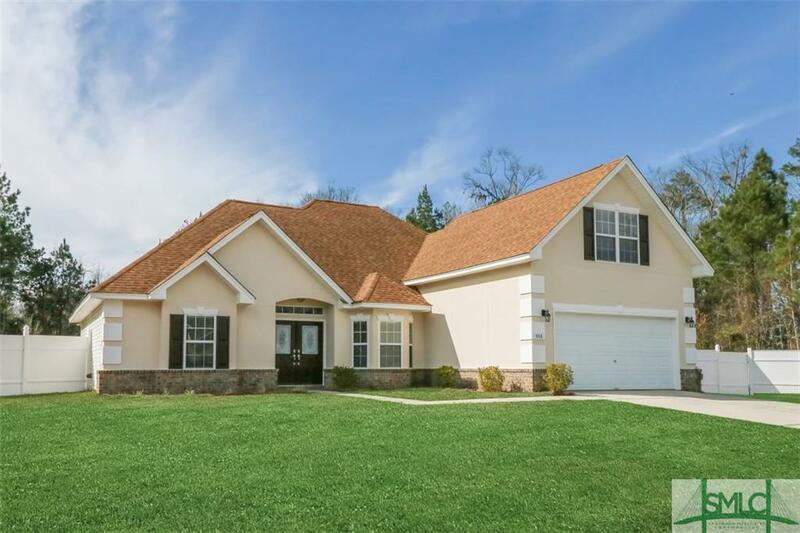 To the left of the entrance is your master-suite with hardwood flooring, spacious walk-in closet, and a separate walk-out to your screened in porch. The master bathroom is complete with a garden tub, separate shower, water closet, and double vanities. Upstairs is your roomy fourth bedroom or bonus room. Out back you will be amazed at your own private pond! Enjoy the view from the comfort of your screened in porch, or take in the sun on your patio. The yard is completely fenced in, and you have an additional storage building with plumbing, it's own porch and gardening area! All of this, and located just minutes from all the major roadways.